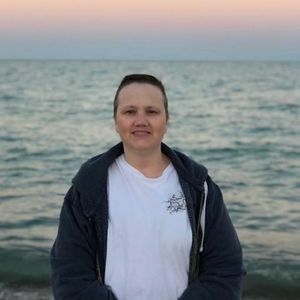 Kimberly Russell, 45, of Zeeland, passed away on Sunday, April 14, 2019. Kimberly was a U.S. Navy veteran. She served as a corpsman, and upon returning to civilian life she was a LPN helping bring medical services to the less fortunate and underserved. She is survived by her husband Jim Russell, daughter Marrisa Porter (Bill) of Hawaii, son David Cochennic (Mikaylin) of the United Kingdom, Olivia Willis at home, stepson Tyler Russell at home, stepson Bradley Russell at home, Parents: Michael and Sandy De Tar, Laura and Bob Humphrey; sister Sherri Carson-Soave (Chris), brother Michael De Tar, brother Eric De Tar, niece Isabella Carson, nephew Steven Carson. There will be an open house in Kimberly's honor on Saturday afternoon 1:00-5:00 pm April 20, 2019, at the Yntema Funeral Home, 251 S. State Street, Zeeland MI 49464. Memorial contributions in lieu of flowers may be given to Angela Hospice or Hospice of Holland. Add your thoughts, prayers or a condolence to Kimberly's guestbook.